Launched in 1942 as World War II was raging, HMS Unruffled patrolled the oceans for the remainder of the hostilities, destroying nearly 40,000 tons of enemy shipping - and one train - before retiring, battered and bruised but glorious, and without losing a man. James Gregan's home town of Colchester adopted the vessel and took its gallant crew to its heart, and more than 70 years on, Gregan has written this book to celebrate the forgotten submarine which he describes as 'not just another piece of war machinery but a boat which helped thirty-three heroes to survive a war when so many brave young men did not return'. 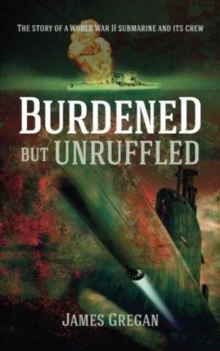 The book is a detailed, thoroughly-researched account of Unruffled's three and a half years of service from Norway to the Mediterranean and from Scotland to Bermuda, with detailed accounts of every encounter, every moment of fear and every hour of glory.